A hemodialysis Central Venous Catheter or CVC is usually intended for temporary access, for a few weeks or months. But there may be conditions that prevent you from having a fistula or graft, for example, if your blood vessels are not strong enough your doctor may decide a CVC should be used instead; or a CVC may be used while you’re waiting for an access to mature. A CVC is a soft tube that is placed in a large vein, usually in your neck or chest. The end of the tube extends outside of the body and is separated into 2 individual channels called lumens: one to draw blood from your vein and out of your body into the dialysis machine and the other allows cleaned blood to return to your body. 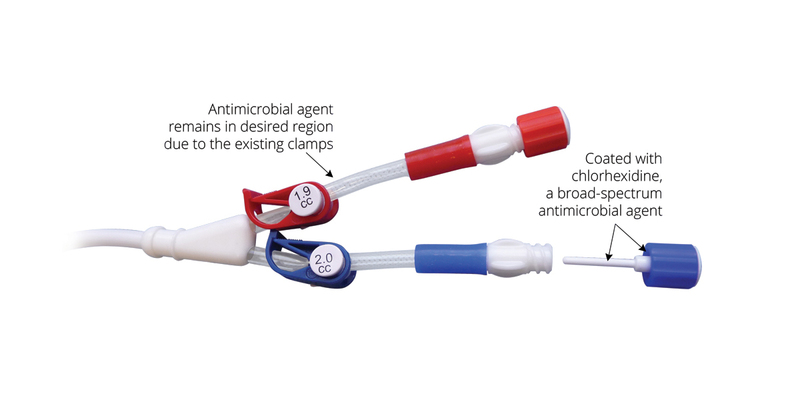 One of the positives of using a CVC is that it eliminates the need to use needles. Your arms are free during dialysis because the CVC is in your neck or chest. However, CVCs are the least preferred choice of hemodialysis access options due to the high risk of a bloodstream infection. A bloodstream infection (BSI) is a serious infection that occurs when germs (usually bacteria or fungi) enter the bloodstream through the CVC. A bloodstream infection could lead to hospitalization and could be life-threatening. By taking good care of your catheter access, it will last longer, and will help reduce your risk. Pursuit Vascular, Inc. has introduced the ClearGuard® HD Antimicrobial Barrier Cap for use with hemodialysis catheters. It is the first and only device cleared for sale in the US that kills infection-causing bacteria inside a long-term hemodialysis catheter hub. While the new caps are more expensive, cost savings from reduced blood stream infections and hospitalizations are substantial. The combined savings in the U.S. estimated by the study conducted by the American Journal of Kidney Disease are $300 million annually.1 Cost savings plus clear quality of life improvements – a win-win for people on dialysis and health care professionals. If you have a CVC, it is your lifeline. Ask your healthcare team about the ClearGuard® HD caps. 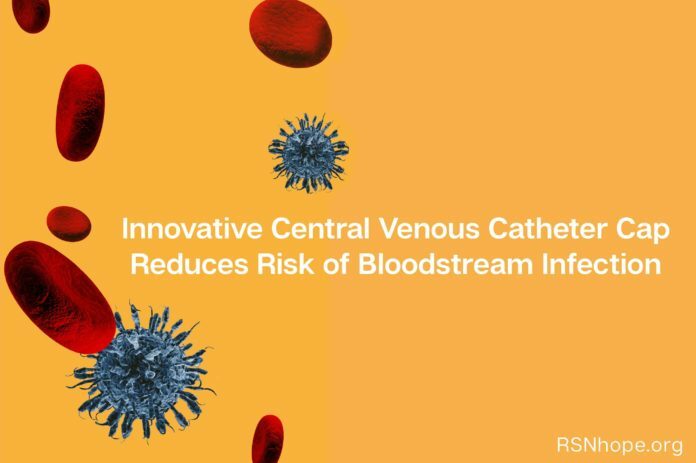 In addition to your standard CVC care, this new system can help protect you from blood stream infections and give you and your loved ones a little more peace of mind. 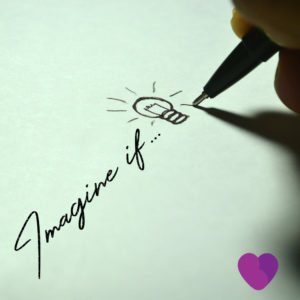 RSN encourages this creativity and innovation in the healthcare space. We are proud to present these innovative updates in the treatment of kidney disease.